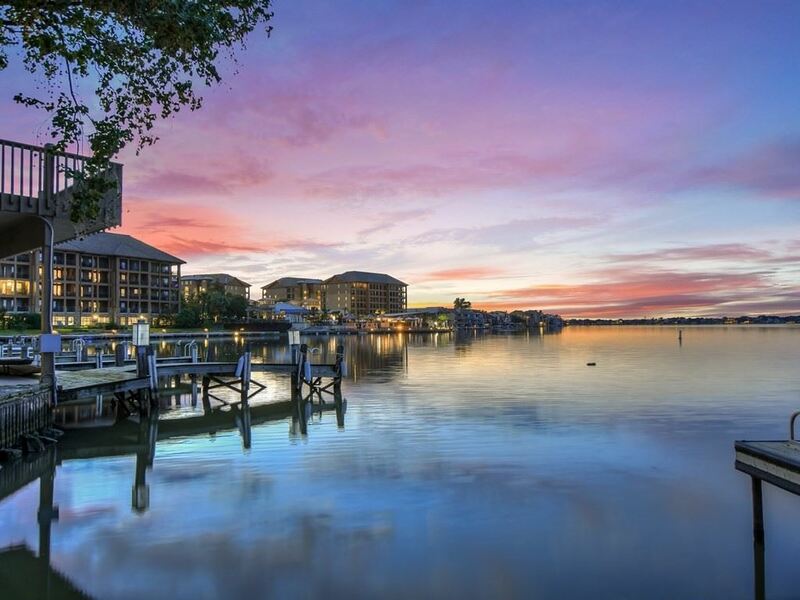 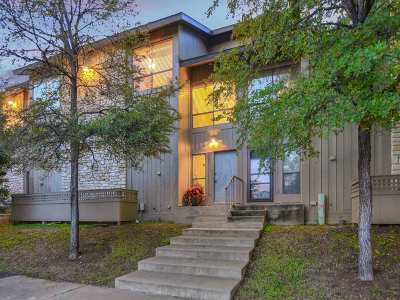 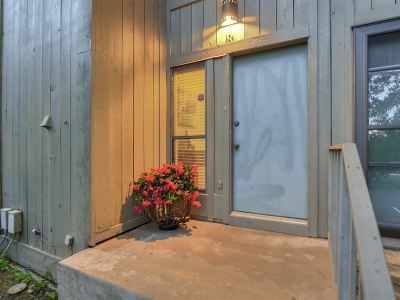 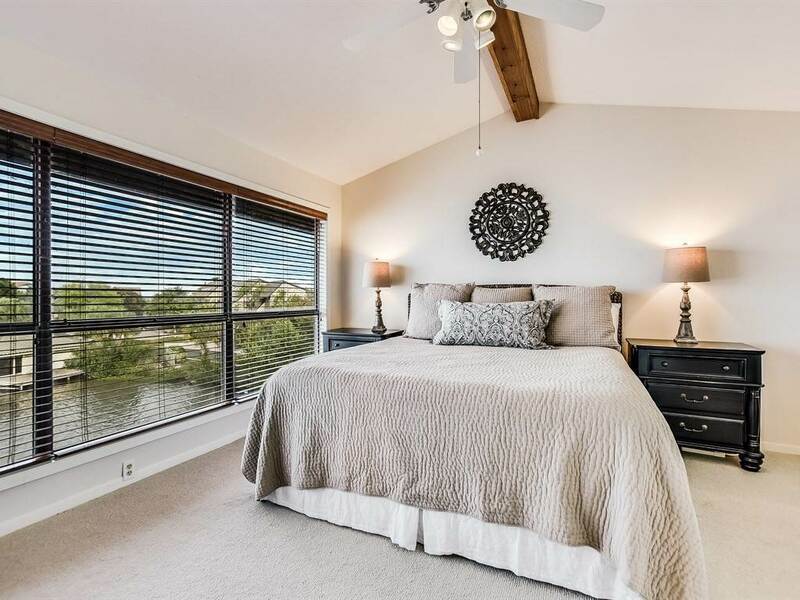 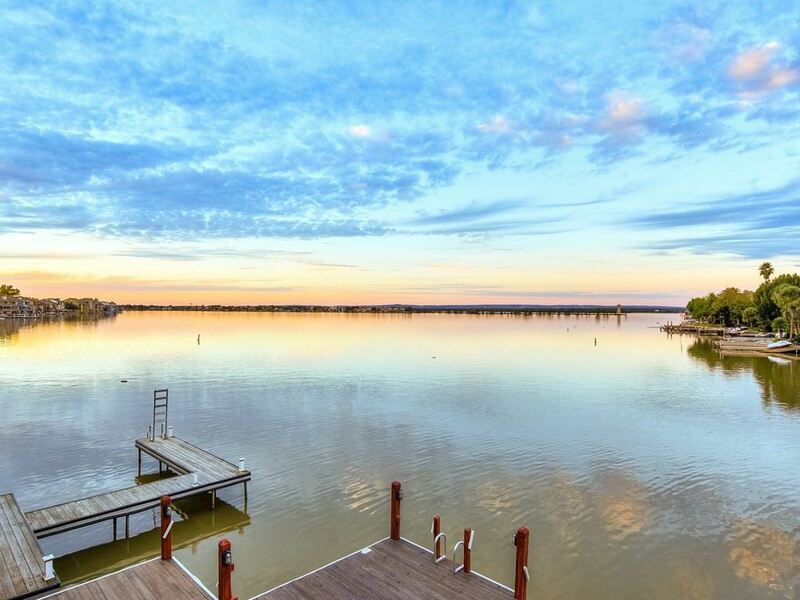 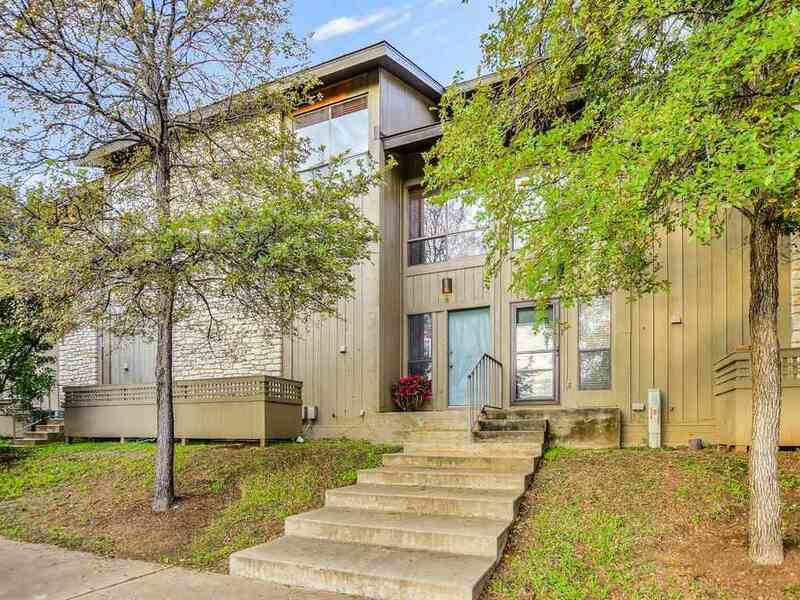 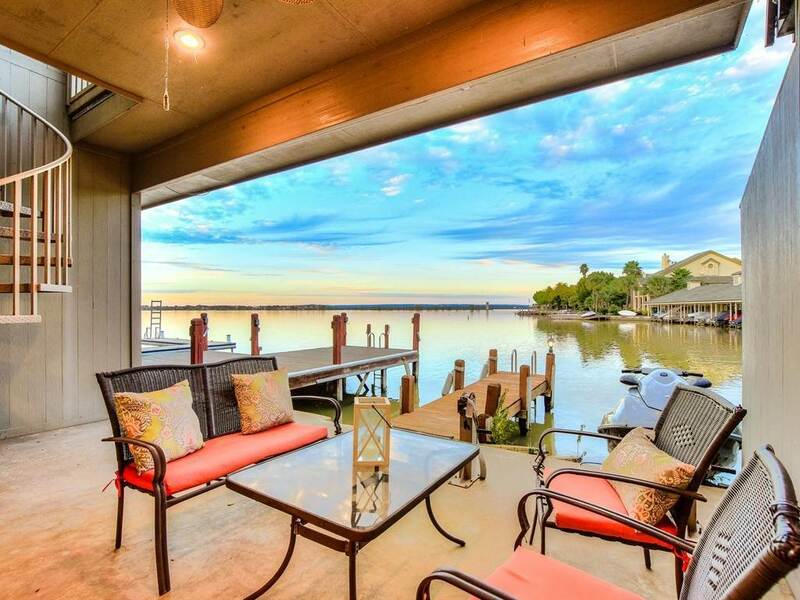 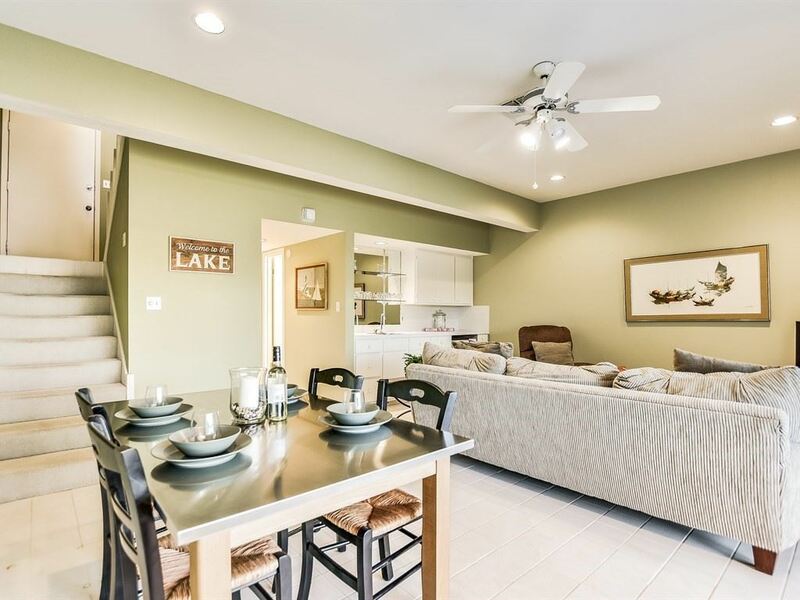 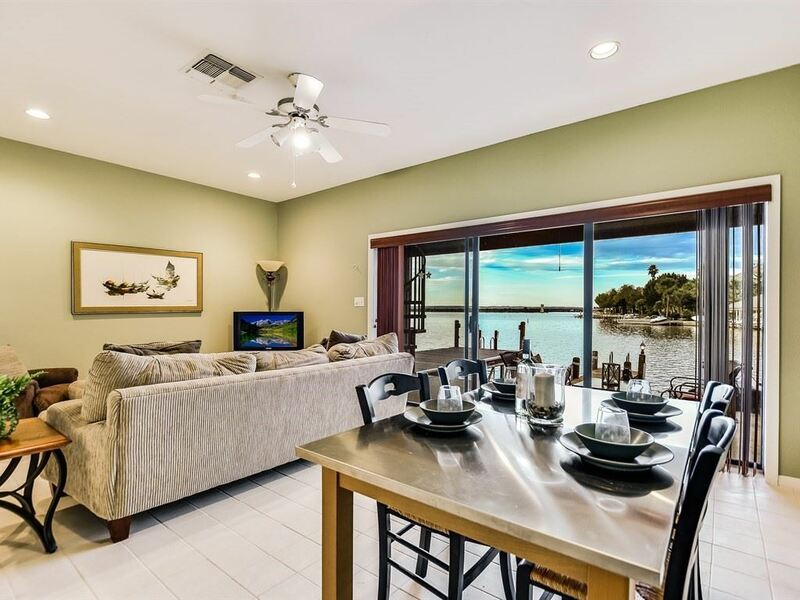 Lake LBJ WATERFRONT with stunning, NORTHEAST VIEWS. 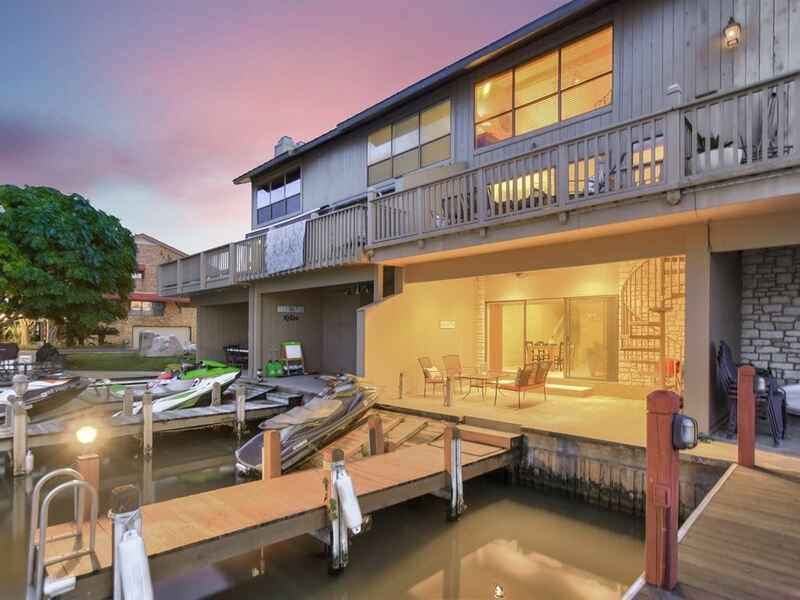 Every day's a vacation in this picture-perfect 3-bedroom, 4 bath OPEN WATER townhouse, in the heart of Horseshoe Bay. 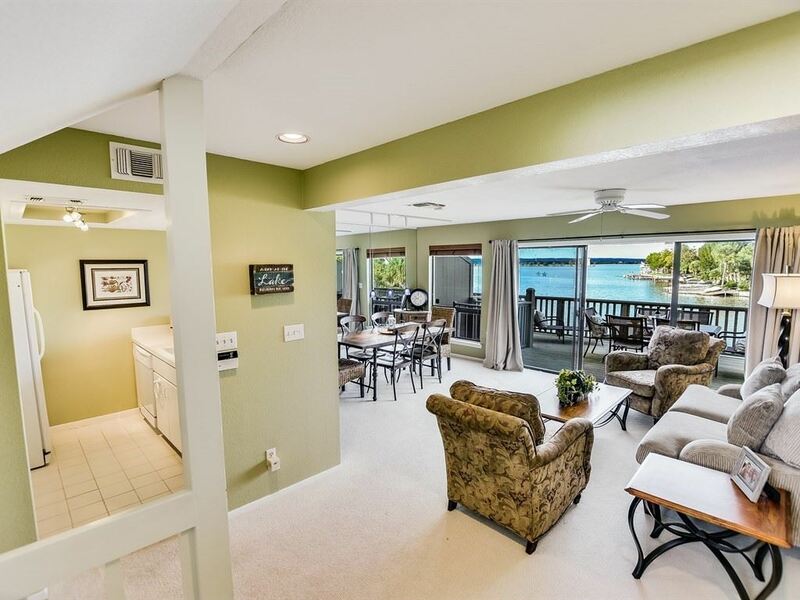 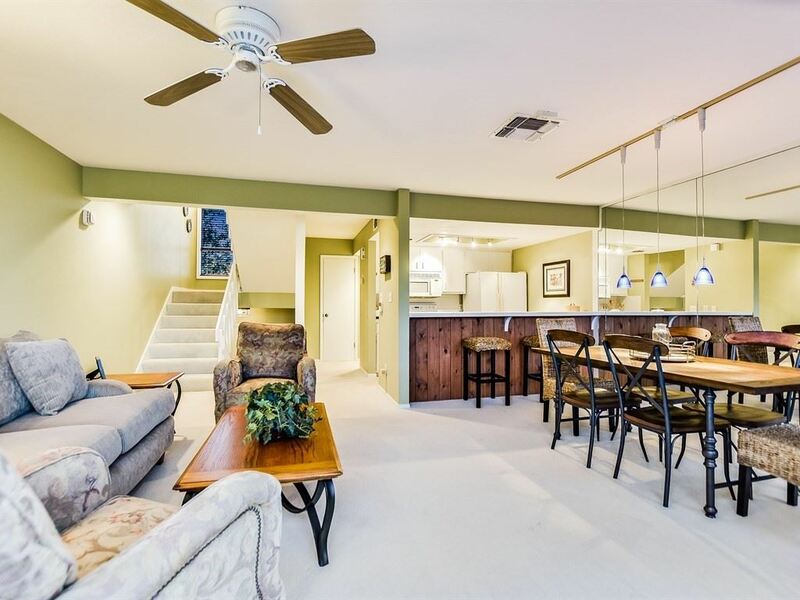 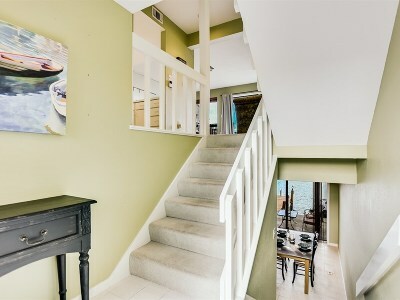 Just a short walk or quick bike ride to the Resort's core amenities, natural light greets you in the open living/dining area where floor to ceiling windows frame the renowned Horseshoe Bay Lighthouse. 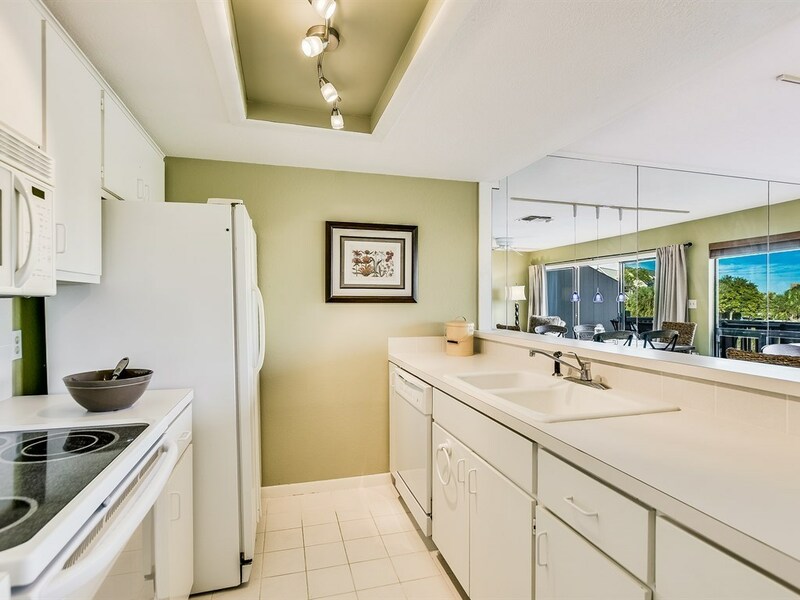 The gleaming white kitchen features custom cabinets and a beautiful tile backsplash. 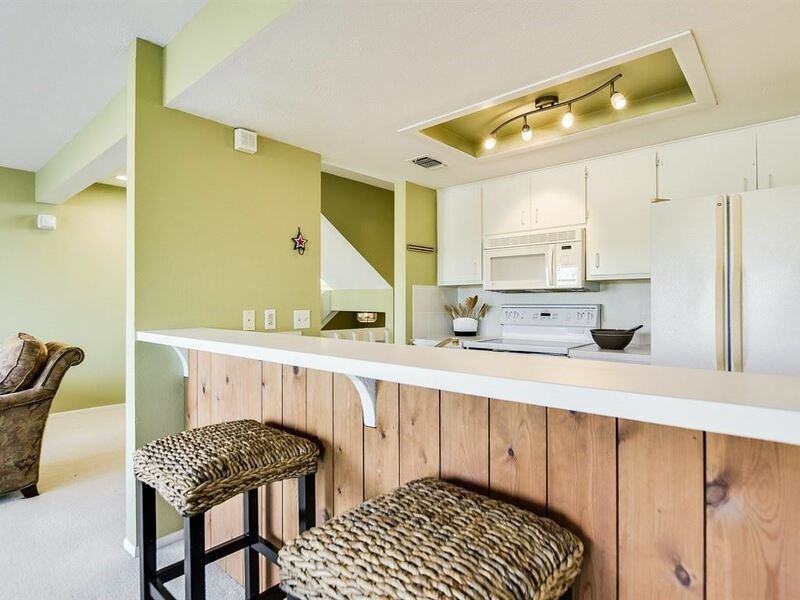 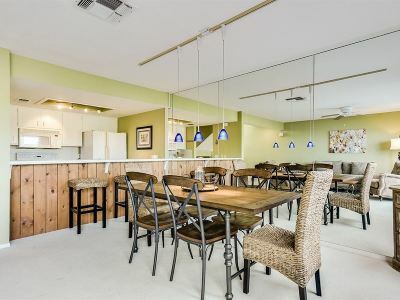 Sip your morning coffee at the breakfast bar, then move to the dining area for more formal meals. Step onto the deck where 180-degree views take your breath away. 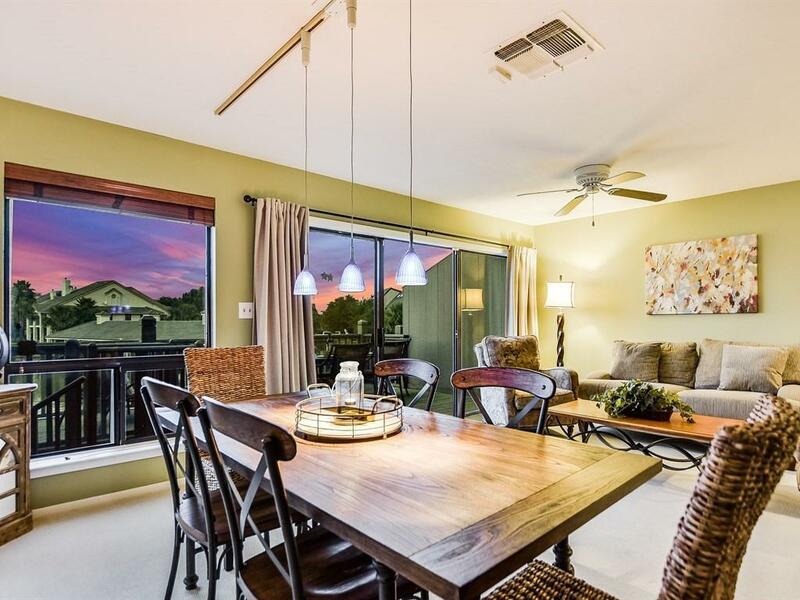 Relax in the soft summer breeze or linger over starlit dinners with family and friends. 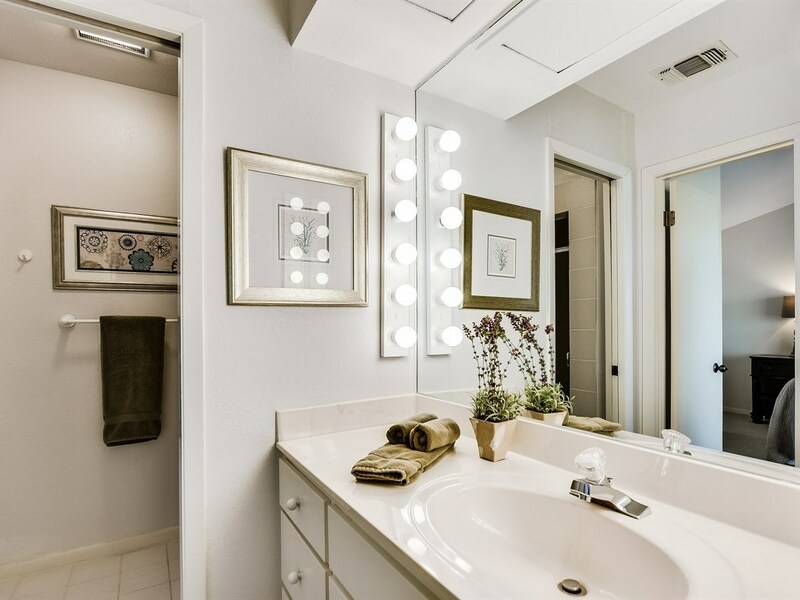 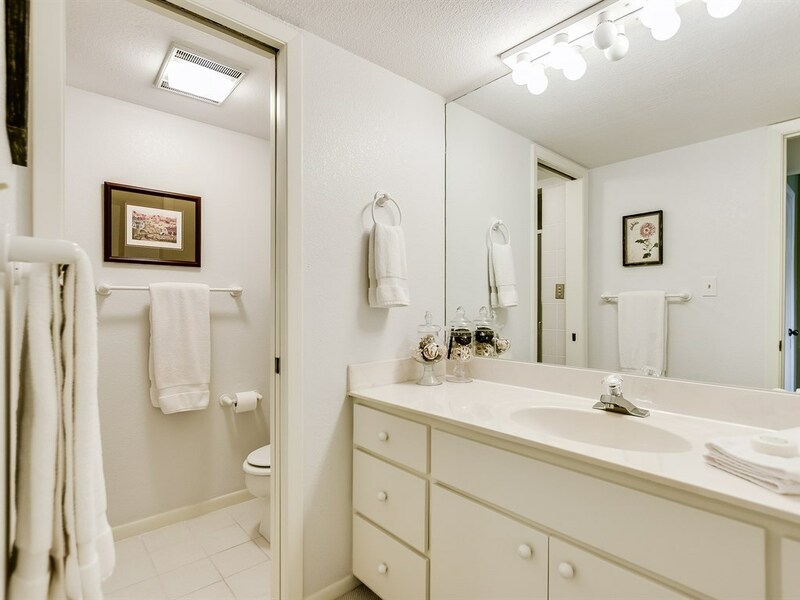 The main level also boasts a convenient full bath. 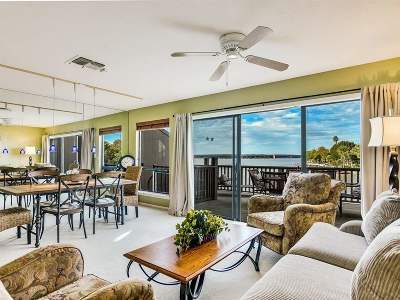 With multiple decks to choose from, no guest will have trouble finding a private spot to relax. 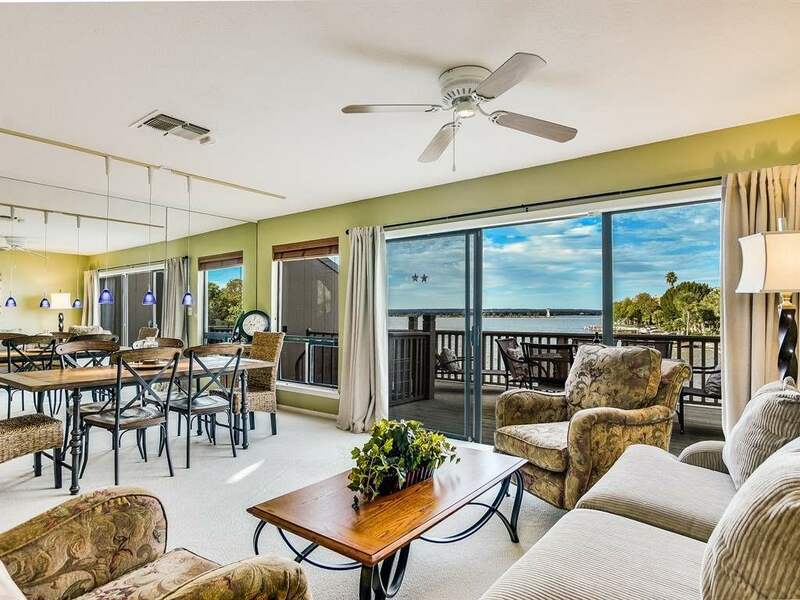 Upstairs, a master retreat introduces more open water views from a private outdoor balcony. 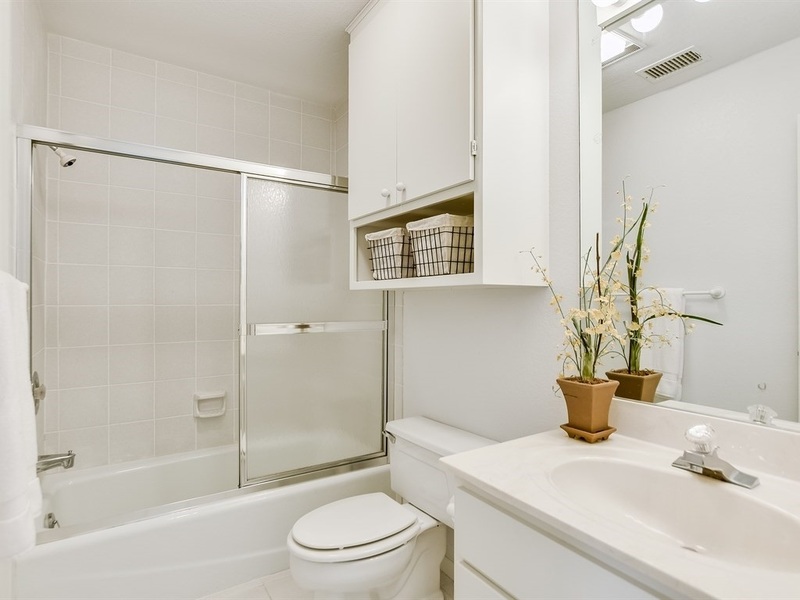 The master also includes an en-suite bath with walk-in shower. 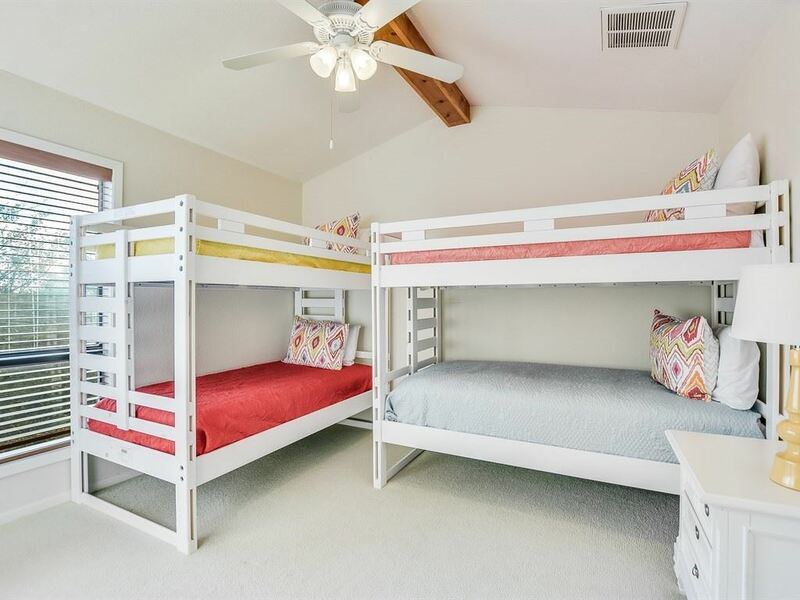 A bunkroom with private bath is ideal for multiple guests. 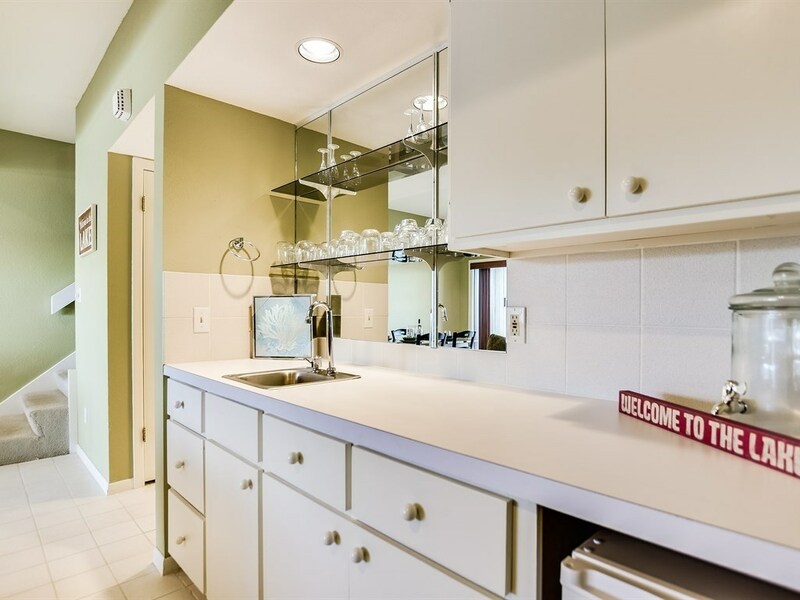 Downstairs offers a private bar and fourth full bath while a transitional space can be used as a third bedroom or a second living area. 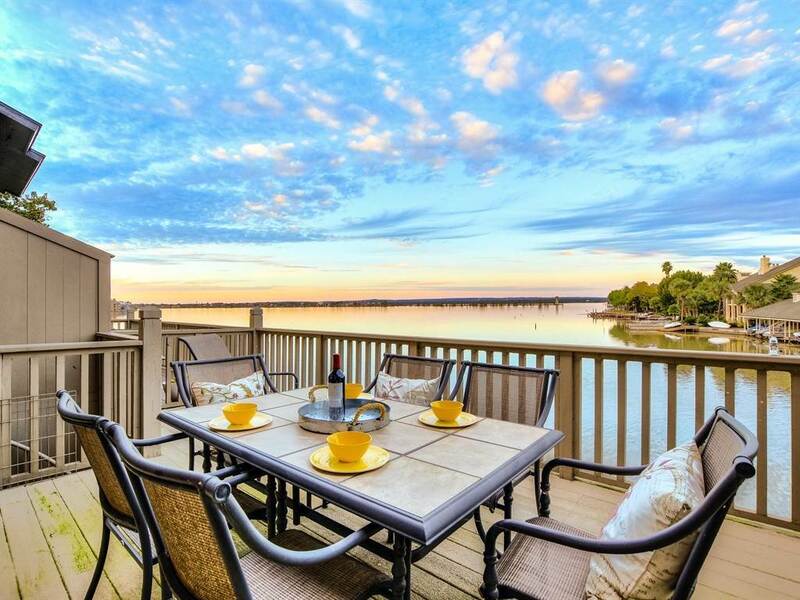 Another private deck presents sweeping lakefront views. 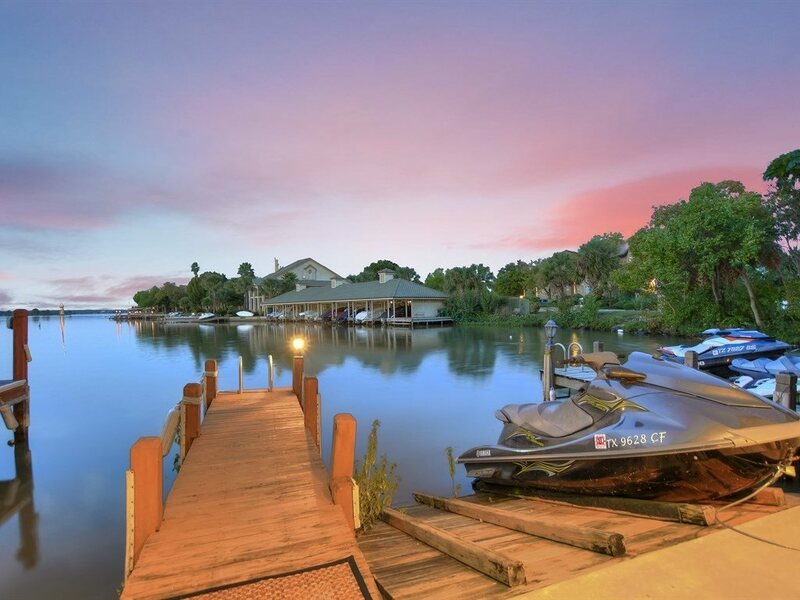 Spend sunny afternoons fishing or sunbathing from your private day dock, take a dip in the water, or enjoy an exhilarating jet ski or boat ride.